Indianapolis, IN- The Student Cycling Coalition had 8 different riders compete in 4 different events in the Mid-West Collegiate Cycling Conference (MWCCC) Championship race. John Francisco led the Cards with a 6th place finish in the Men’s A field of 32 riders. 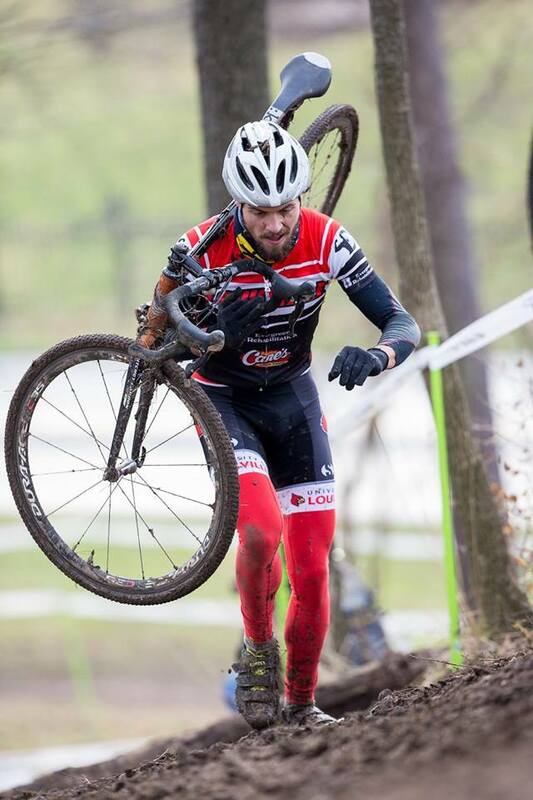 The collegiate classes were combined with the general category fields of the Ohio Valley Cyclocross series race hosted by Marian University at the Indy Cycloplex and Major Taylor Velodrome. 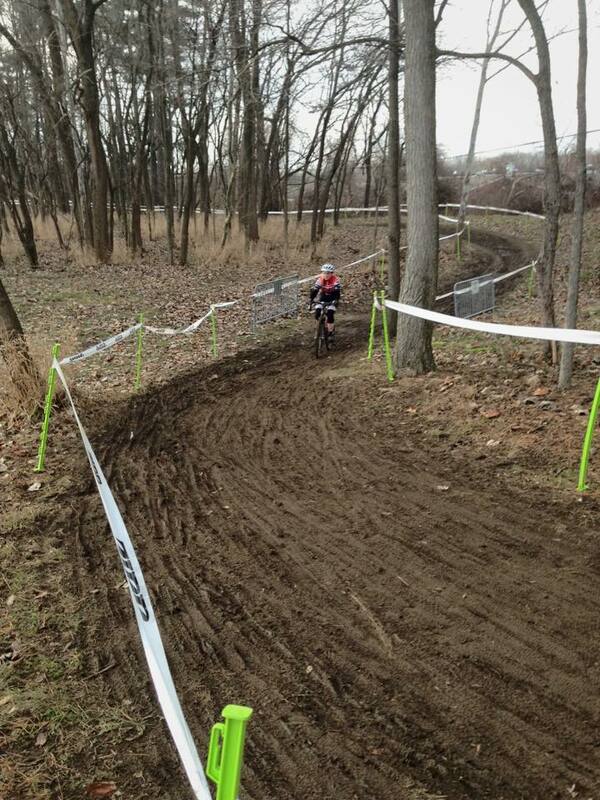 Rain throughout the week made riding the already challenging course a muddy travesty. The 1.8 mile loop featured two main sections. The first featured a slick climb up the velodrome hill, a winding off-camber descent, and a long run up the back of the hill with several tacky sweeping turns. A steep descent unloaded the riders to the second part of the course, a flat winding path through an open field with soppy, standing mud and water. John Francisco led the Cards with a 6th place finish in the A class, which had been combined with the Men’s elite race. Ben King was the other Men’s A rider, finishing 12th. In the B race, also combined with the Elite field, Abner Miralda finished 7th. The men’s elite field had difficulty keeping up with the blistering pace Marian and Lindenwood riders Andrew Dillman and Luke Haley set. Both are Louisville natives. 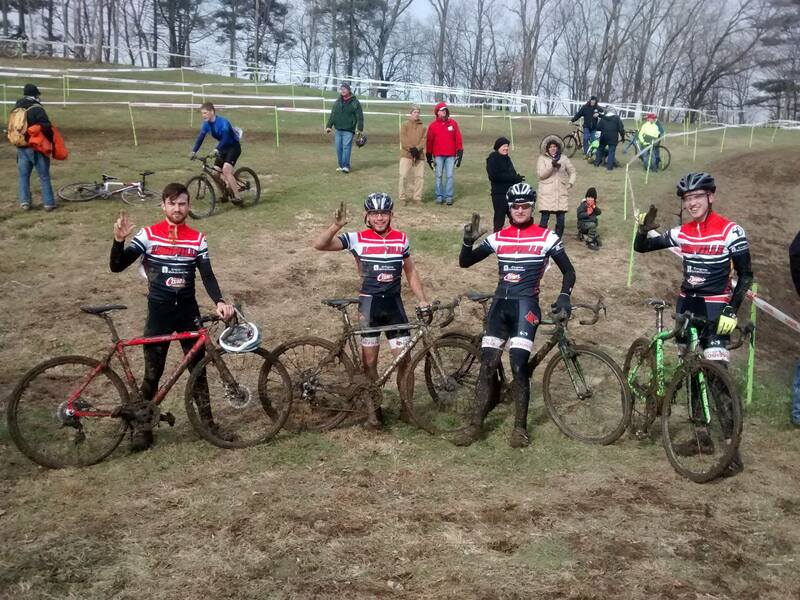 The Cards had four riders in the Men’s C field, Ryson Walden, Jason Eisen, Josh Goodman, and Jacob Holtgrewe, finishing 6,7,8,9 respectively. 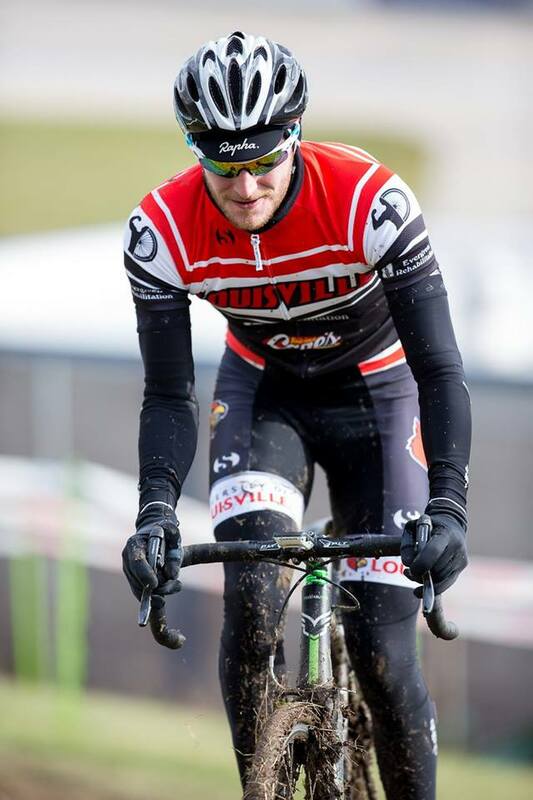 The race was Walden’s and Holtgrewe’s first experience racing cyclocross, and Eisen’s first for UofL. 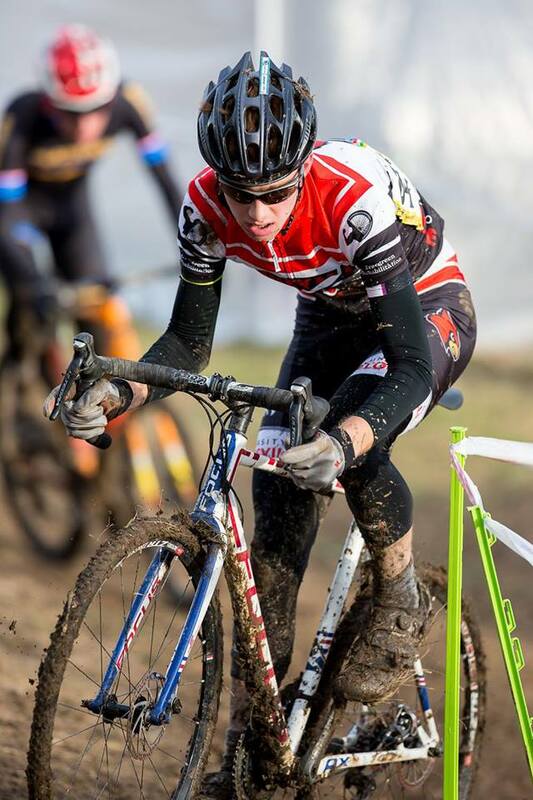 In the Women’s B field, Ariel Reed competed in her first ever bicycle race, finishing in 15th place in the Women’s A&B field. The Student Cycling Coalition is now in preparation for the Spring Road cycling season, that schedule is yet to be determined. 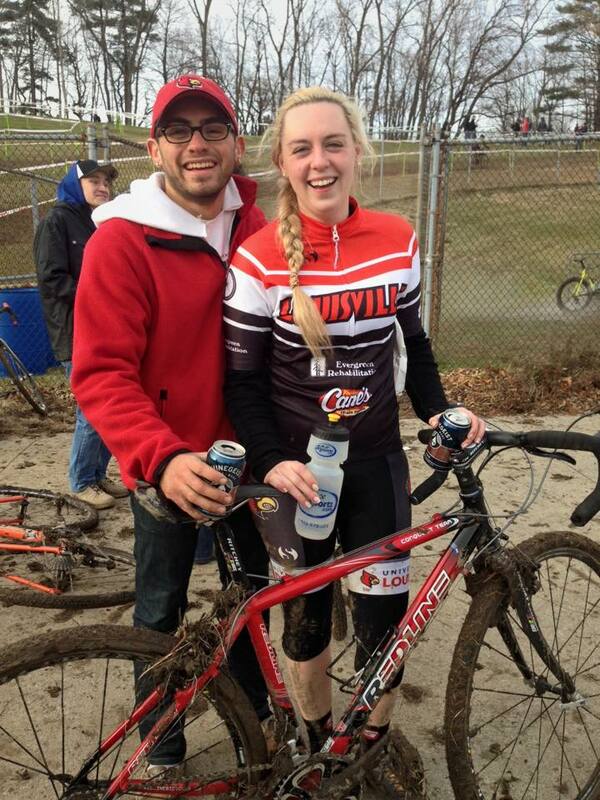 Follow the SCC on Facebook or on Twitter @UofLcycling! Ariel Reed and Josh Goodman in line to power wash her bike.